Place all ingredients in a small saucepan and bring almost to a boil, stirring frequently. Reduce the flame to medium and stir constantly until the flakes have dissolved, about 10 minutes. 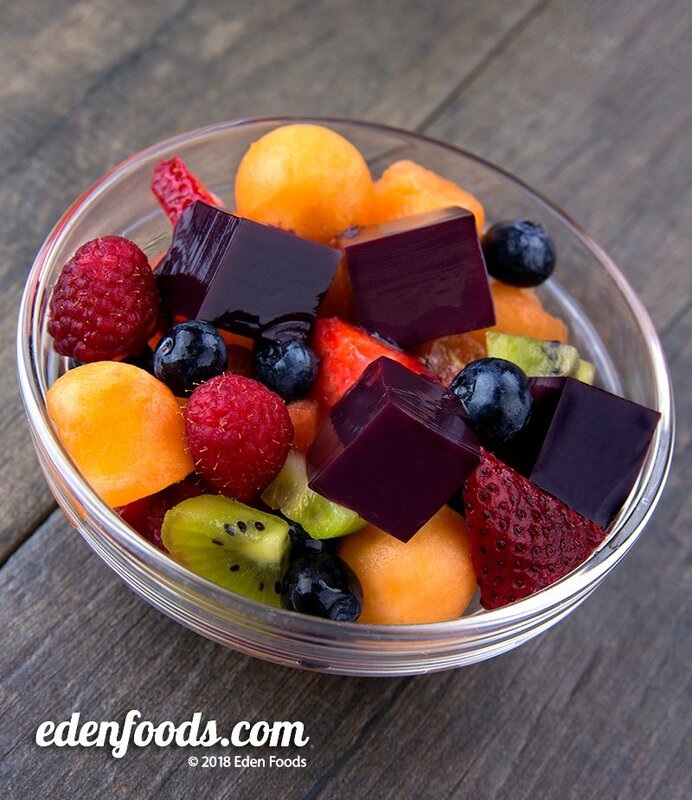 Pour the juice into small dessert cups or a shallow bowl. Refrigerate until gelled, about 1 hour.